I've mentioned several times now that the top layer of my hair broke off last year & it's taken this long to grow it out to chin length. My hair looked like a complete mess & it was really getting me down. I started looking into wigs & hair extensions as a way of enhancing my hair. I wanted something that could blend in the top layers with the rest of my hair & thicken up the straggly ends. Just as I was doing this Irresistible Me got in touch & offered me the chance to try out some of their hair extensions. Their timing could not have been any better! After looking through their different ranges I ordered the Royal Remy Clip-In Extensions in Royal Platinum Blonde. 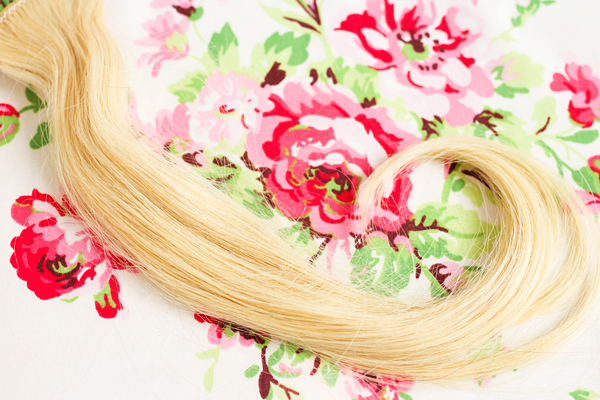 Royal Remy is their premium line of clip-in hair extensions. They use 100% human Indian Remy hair that has been specially treated to add extra silkiness & durability. These extensions are very easy to blend with your own hair and can be styled, cut, coloured & curled for an ultra glamourous look. Compared to their other extensions, the Royal Remy hair will last longer & look more voluminous. They are the closest match you can find to completely unprocessed hair. As I was looking to add extra thickness to my hair rather than tons of length I decided to go for the 14" hair extensions. I've struggled to find anything shorter than 18" in the past so I was really excited to see that Irresistible Me offer such a wide range of lengths (14"-24"). I was unsure which weight to go for but they advised me that 140g would be best for adding volume with the 14" extensions. In the 140g set you get 8 pieces: one with 4 clips, three with 3 clips, two with 2 clips & two with 1 clip. 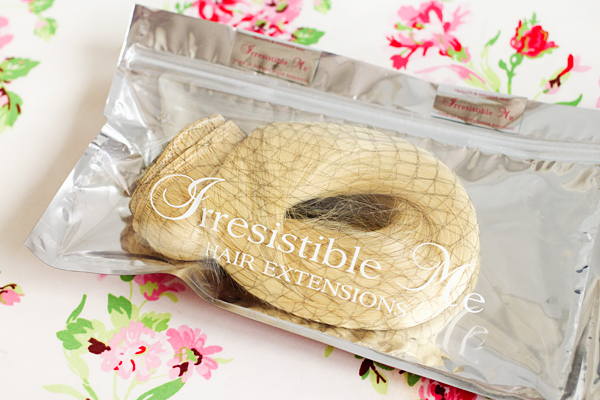 Irresistible Me are based in New York but delivery to the UK was lightning fast via FedEx with no customs fees. The hair comes packaged in a foil bag with one of the pieces separate from the rest. 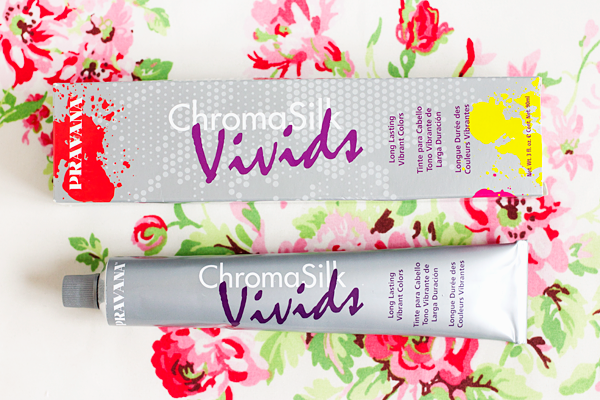 This allows you to get a better look at the shade & length without opening the full set. If you decide that they aren't right for you, simply leave the protective seals intact and you can return them for an exchange or a full refund. When I opened up the package I knew that they wouldn't be the right colour for me but that could soon be corrected. The quality was impeccable. They felt really soft & thick so I couldn't wait to put them in my hair! 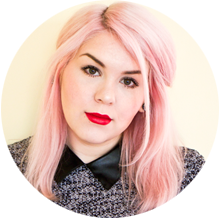 Royal Platinum Blonde is the lightest shade that Irresistible Me do but it was far too dark & warm for my hair. I didn't want to ruin the beautiful quality of the extensions with bleach so there was no way that I could get them to match my previous shade of blonde. I tried toning them with purple shampoo but they still didn't match my own hair whatsoever. 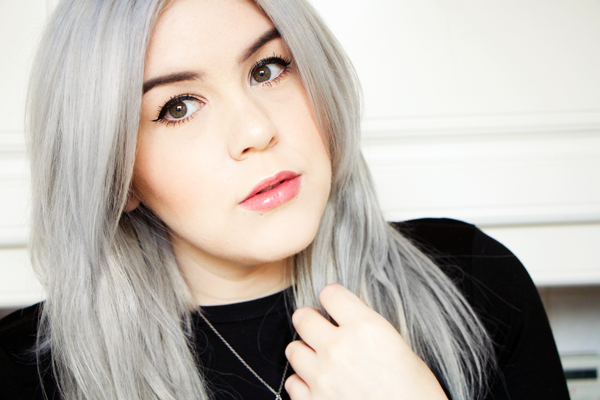 I decided that this was a great opportunity to go back to grey hair instead. 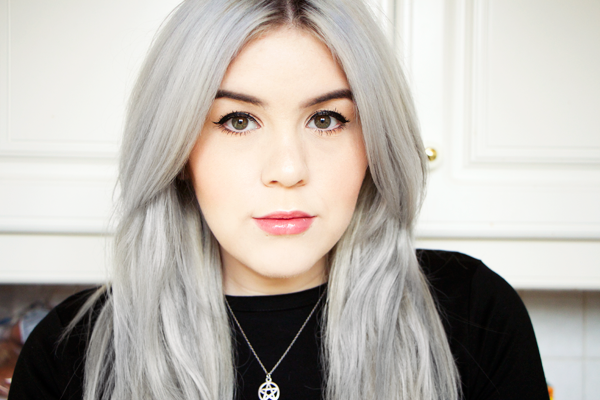 I used Pravana ChromaSilk Vivids in Silver diluted with white conditioner to dye both my hair & the extensions. I'd never used this particular dye before & I'd never tried to colour hair extensions before so this was a very new process to me. I watched one of Irresistible Me's YouTube videos on how to dye hair extensions & this made things a lot clearer. I placed long pieces of cling film in my bathtub & used a tint brush to cover both sides of the extensions with the silver dye. Then I could wrap up each weft & leave them to process with minimal mess. The first time I dyed them I left them for 2 hours so they could really soak up the colour. They looked a bit patchy afterwards so I dried them off & dyed them again when I did my own hair. This time I left them for about an hour & the second dye application made the colour look a lot more even. I actually ran out of dye so I need to buy another tube to redo the quad weft as there are still some yellowy strands in it! Overall I'm very happy with the colour now & they match my hair perfectly. My one complaint about Irresistible Me & hair extension brands in general is that not many of them do a light enough blonde shade. It would be so much easier to match my usual blonde hair or to dye the extensions pastel colours if they would just make some lighter wefts. 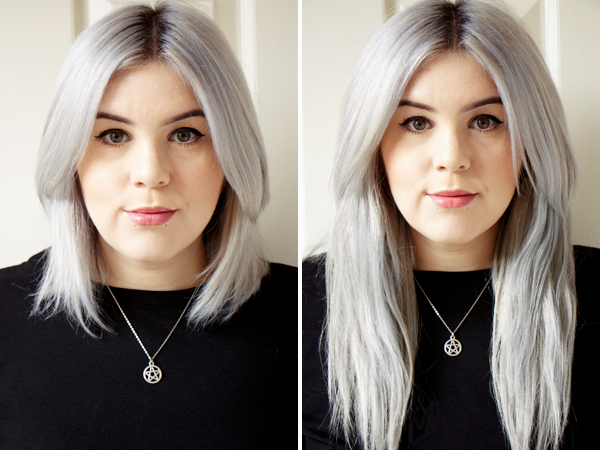 So here is how my hair looks before & after putting in the Irresistible Me extensions. They look absolutely incredible, I love them so much! 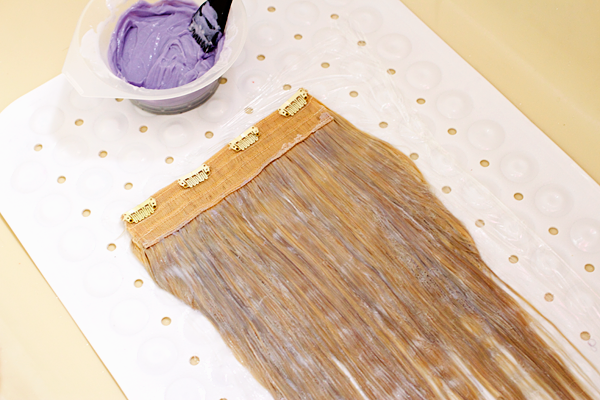 The quality is phenomenal & they still feel silky soft even after I dyed them. The hair is so thick & luxurious from top to bottom which provides plenty of body. The only styling I did was to lightly straighten them as I wanted them to be textured without looking too perfect. The 14" wefts look a lot longer than I was expecting but for me the length is perfect. This is how long I wish my real hair could be. I don't know how anyone can manage with 24" hair extensions as I definitely feel very mermaid-like just with this length. They blend in with my hair really well & if you didn't know me I don't think you would necessarily clock them as extensions. I've worn clip-in extensions in the past but they have never managed to make my hair look so full & bouncy before. These are easily the best hair extensions I've ever tried. The clips are extremely secure & I haven't noticed any shedding at all. They feel very comfortable on my scalp which is vital when choosing extensions so you can wear them for extended periods of time. As they're clipped to the healthier layers of my hair they don't put any stress on the broken top layer so they're a great way of playing about with my hair without causing further damage. 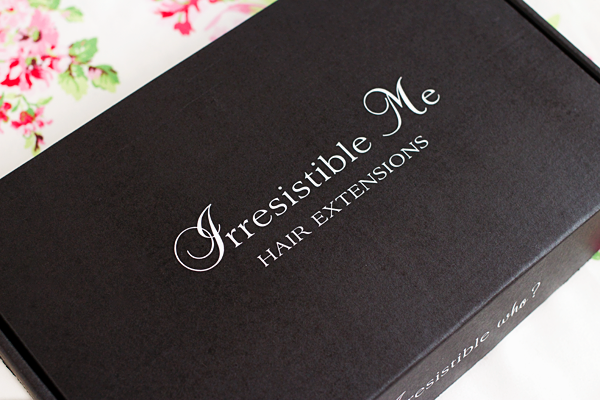 I just love everything about them & I'm so thankful for Irresistible Me's utterly brilliant hair extensions! Oh my, you look absolutely gorgeous! Love that you found a different way to wear this. Can't wait for my order to arrive too, the reviews on their products are great! 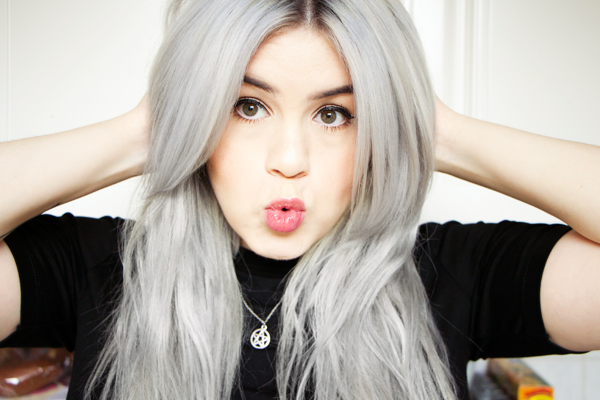 Whoa, the grey looks smashing on you! The alternative to roll out improvements to the engineered wig is very constrained. Notwithstanding, it is as yet vital to take legitimate care while styling the hair piece to limit the danger of causing harm.